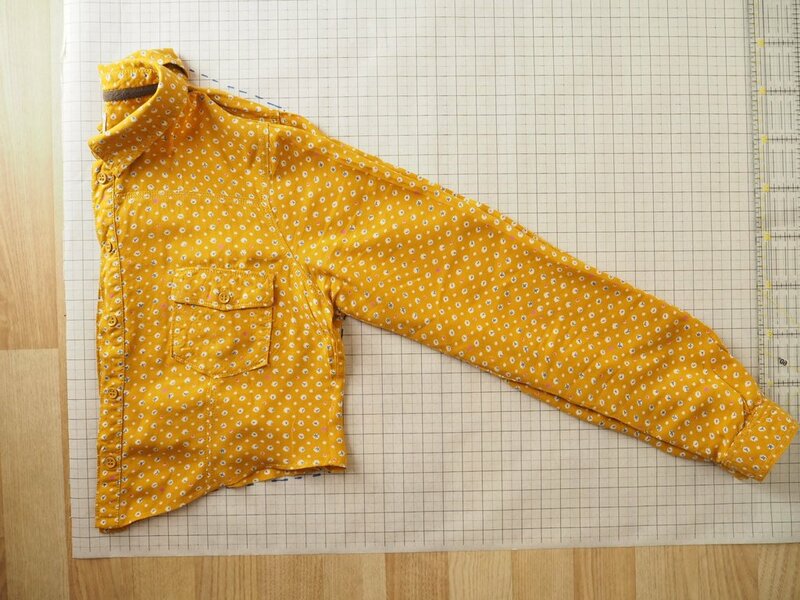 Do you know what’s beautiful about sewing your own clothes? make a personalized pattern out of it (read: FREE PATTERN :D)! In the following posts (link down below 🙂 ), I will teach you how you can keep transforming the basic pattern to achieve different looks. 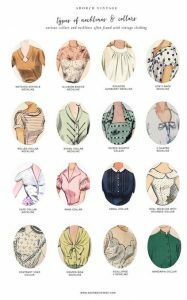 Here are some of the vintage blouses that inspired me to make the series about blouses. The possibilities truly are ENDLESS. Your imagination is the limit, so let go of whatever’s holding you back and start creating! Find a blouse that fits you nicely in your shoulders and neck. Those are really the only requirements. 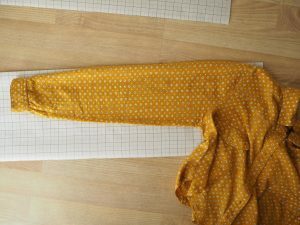 Fold your garment in half, lay it out on a pattern making paper. 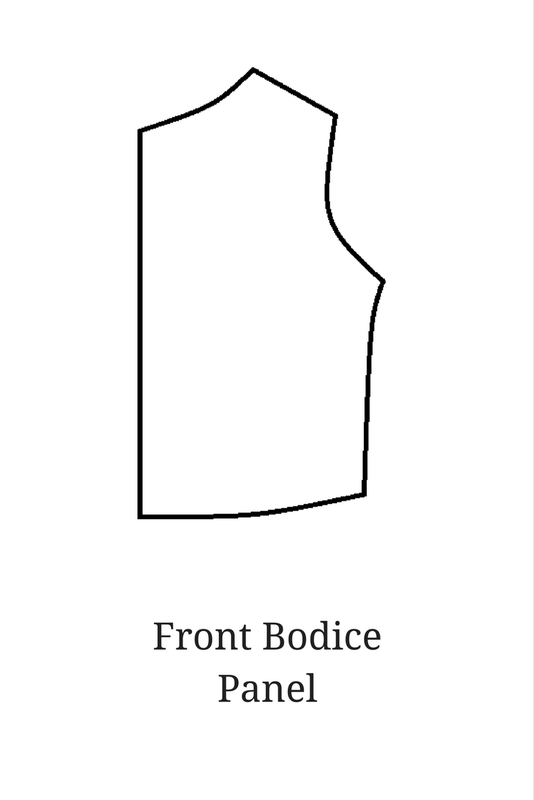 Draw the outline of the front. 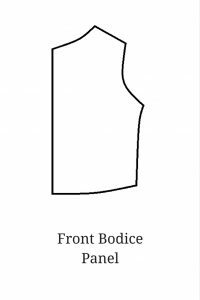 Be careful while tracing around armholes and neckline, those points are crucial in getting a good fit. Add 1.5 cm seam allowances. 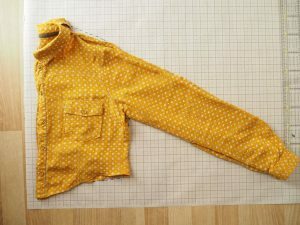 In the end, you should have two pattern pieces that look similar to this. 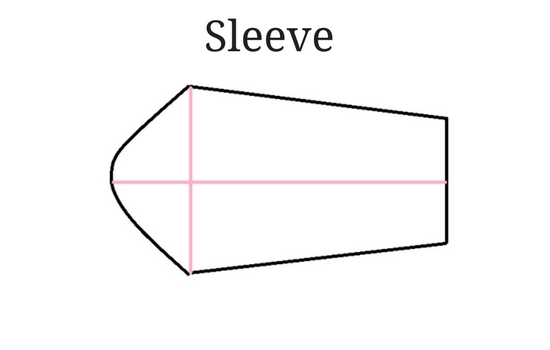 Make sure that your side seams and shoulder seams are the same lengths. 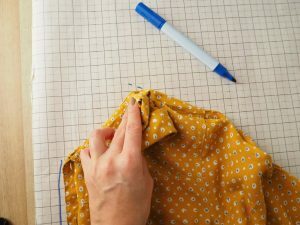 To trace sleeves, I fold my paper in half, lay the front of the sleeve parallel to the top fold of the paper and trace around. Next, I flip the paper to the other side and trace the outline of the back of the sleeve. 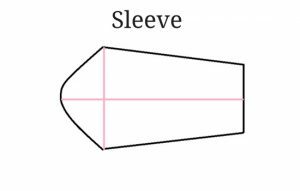 The most important thing in this step is getting the correct curve of the top part of your sleeve to help you with fitting it into the armpit seam. Once you unfold the paper you should have a nice sleeve pattern. 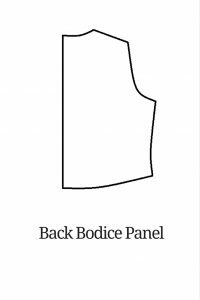 🙂 Add 1.5 cm seam allowances. 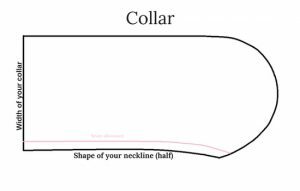 You have a step by step description how to trace a collar here. 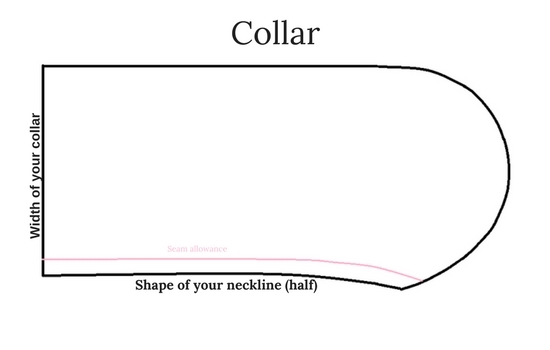 Follow step 1 and 2 to draft the basic shape of your collar. 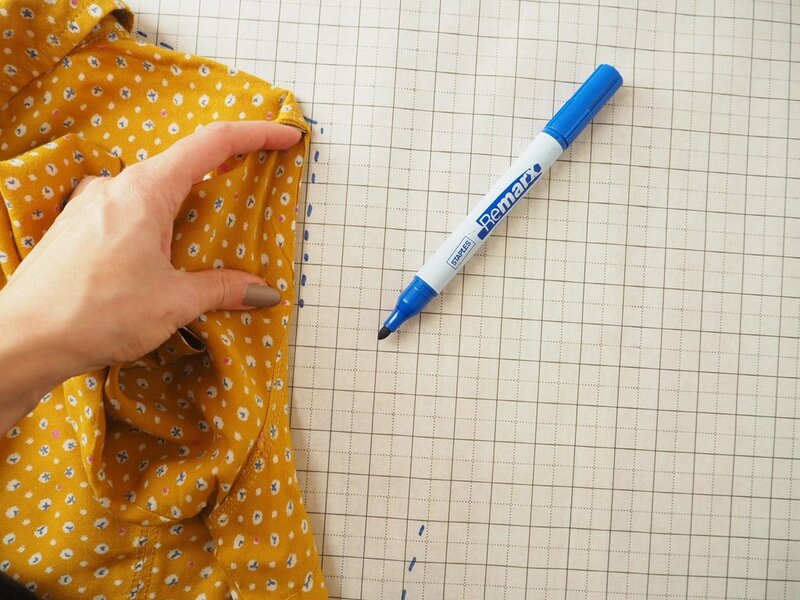 Then, decide on the shape and size of your collar and draw it on the pattern making paper. Next, add seam allowance on the outer edge of the collar. It is literally the same as your collar pattern, but 3 mm smaller. 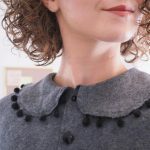 All you have to do is trace the inner neckline of your collar pattern, then re-draw the shape of the collar, but 3 mm shorter than the upper collar. Add seam allowance on the outer edge and you’re done. How long/short do you want your cuffs to be? Do you want to put a button in? 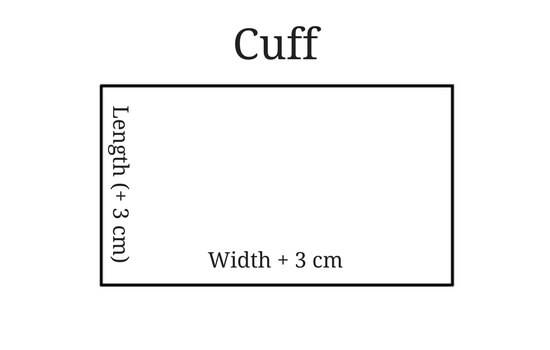 Designing a cuff is very simple. Measure your wrist, then add 3 cm to it (for seam allowances) that will be the width of your cuff. 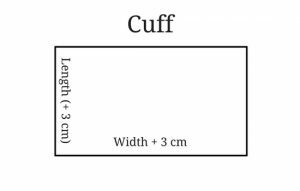 You can add few cm if you want your cuff to me loose. Decide how high do you want it to be and add 3 cm for seam allowances. 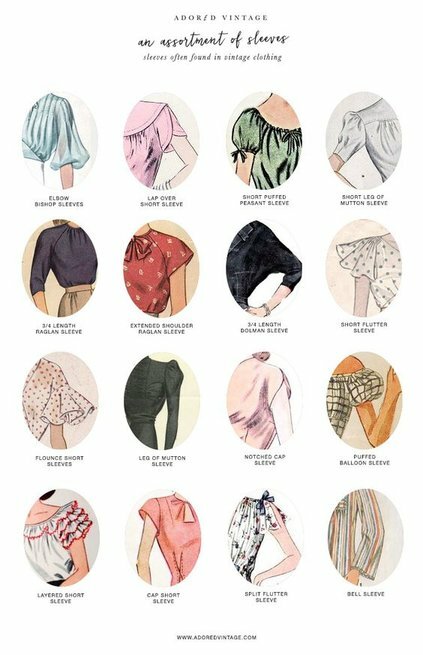 Look at those sleeves variations! You have the base pattern ready. Yes, it is THAT SIMPLE! Take your time and imagine how would you like your shirt to look like. 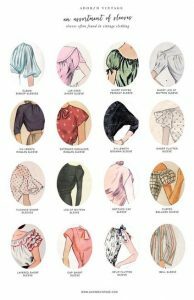 Do you want your blouse to be shorter? Perhaps you want puffier sleeves? 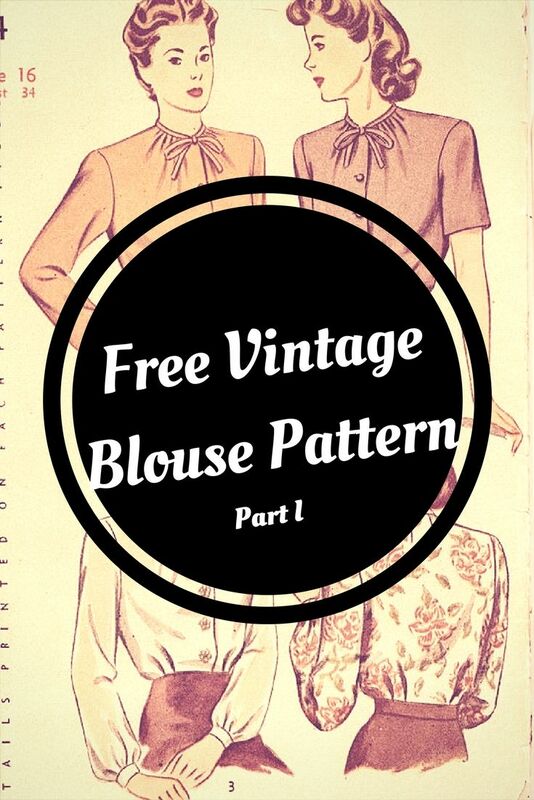 Do you want your blouse to have a classic Peter Pan collar? Do you want to add a cute bow? 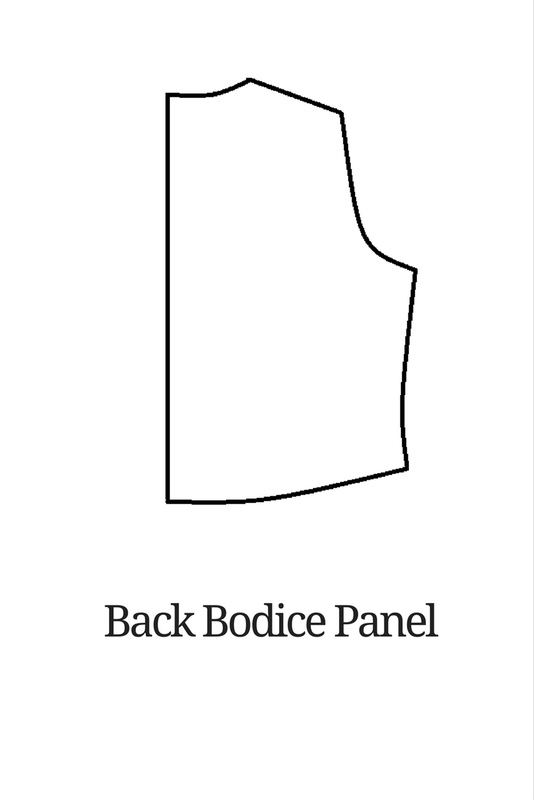 Would you like to have a buttoned-up back? Perhaps you want buttons in the front or no buttons at all? Maybe you want it to be well fitted, loose or short like a crop top? 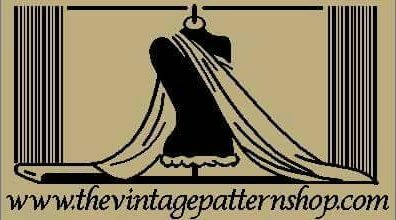 I will show you how to make different alterations to the basic pattern in the following posts. 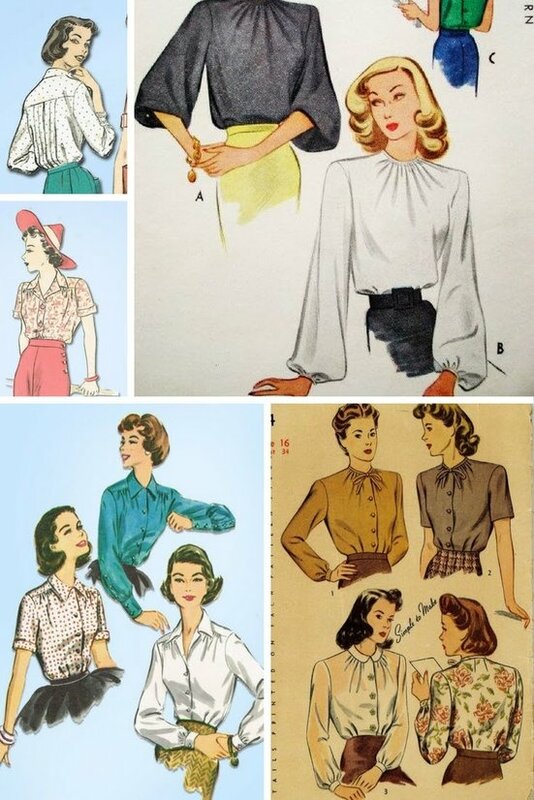 Learn how to take your basic pattern and turn it into a 1940’s blouse with a bow. 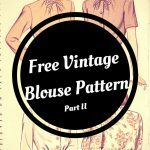 Or use this pattern to make a lovely vintage style blouse with puffy sleeves and a peter pan collar! takk så mye, Christine! 😀 <3 det er veldig hyggelig å høre! Swoon! 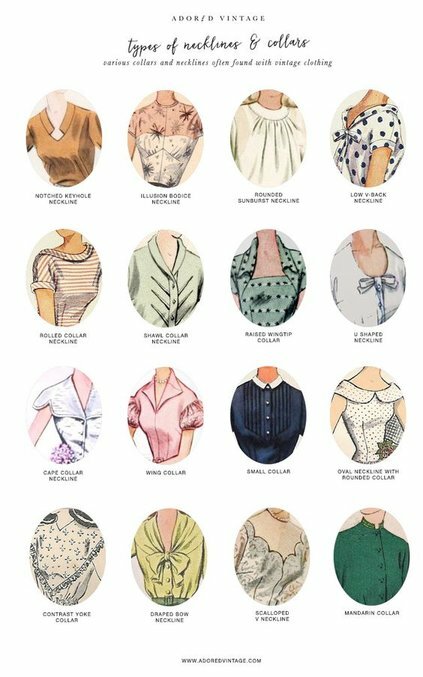 Maybe a button down back side with a waistband that ties in a pretty bow on the lower back ❤️ ahhhh I just love your fashion sense and I’m feeling very inspired by your classic style.